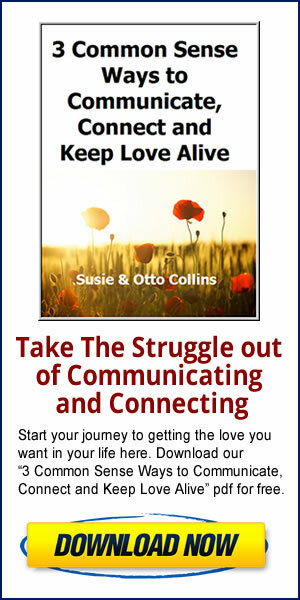 Since we’ve been talking about creating a more loving space in your relationships, we thought we’d get specific and give you how being in a loving space can take the struggle out of 3 of life’s big relationship challenges. When you live in (or can come back to) a loving space more of the time, sharing from your heart and listening to other people’s truths just gets easier. She was able to calmly ask about whatever it was and listen to him with a more open heart than she had previously done. She found that she wasn’t so critical of him and they got along so much better than they had been for years. She also saw she could be more honest with him about things that really mattered to her without criticizing him when she allowed herself to let go of expectations and sink into a more loving space with him. Sinking into that loving space, for her, meant remembering they were very different people and that her way wasn’t always the only way. It meant not taking all those critical, passing thoughts she had about him at face value but sticking to what was happening right here, right now. How can you allow a more loving space to happen between you and someone important in your life? 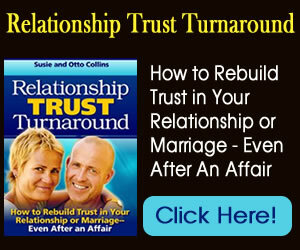 You feel blindsided and uncertain about where and what to put your trust in. You don’t want to get burned again. The tendency is to close down to protect yourself and we’re saying something completely different from that. When you open to finding a loving space within yourself, you’ll see clearly what your next step is because your “crazy” thinking won’t cloud up your vision. Tom’s girlfriend Rachael had confessed to having an emotional affair with her co-worker and Tom was devastated. She wanted to work it out with Tom but he was so angry and hurt that he was unsure what he wanted. With our help, he took some time, stopped replaying in his mind all the scenarios with Rachael and the other guy, and allowing himself to settle. When he was able to fall into a loving space within himself, he clearly saw what it was he wanted. He realized that if Rachael wanted to be with that other guy, he wouldn’t hang onto her and if she truly wanted to be with Tom, he was open to seeing what that might look like. Tom felt some peace because he was beginning to trust that within the quiet space inside him, he could find answers. Are you beginning to see how coming into a loving space can bring you more peace and clarity in whatever situation you find yourself in? Resentment can only happen when you’re repeatedly reliving your perception of a troubling past and bringing it into the present moment. When you’re living in a loving space, there’s no space for resentment because your heart is open, your mind is curious and you’re open and willing to seeing situations and other people with new eyes–in the present moment. You’re willing to see them in new ways where you might have shut them off or pushed back in some way before. Resentment becomes a non-issue or even impossible when you’re living in a space of curiosity. We’ve found that you can’t be critical and curious at the same time. You can’t be angry and judgmental and be open to connecting deeper at the same time. Living in the loving space opens the way for possibilities of love that didn’t exist before when you start living in the present moment and moving forward from there. The truth is that resentment only hurts you and your mental, physical and emotional health. Emotional Affair–What about the “other” person in the triangle?